Minotaur is located in the grounds of Kielder Castle. Wheelchair users can access the work via the Duchess trail. 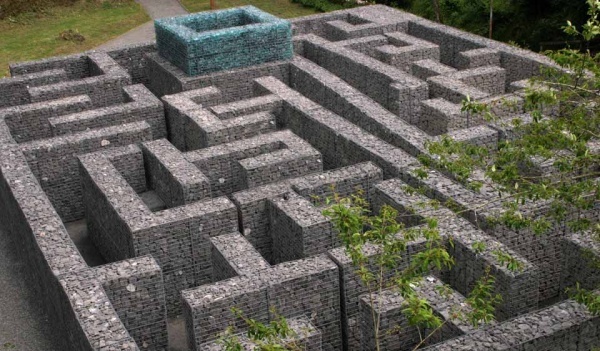 The Minotaur Maze is a must for children and adults alike. The adventurous will discover a number of special features that include a set of stairs taking visitors above the walls and enabling them to consider possible alternative routes within the maze and say 'Hello' to others waiting outside. 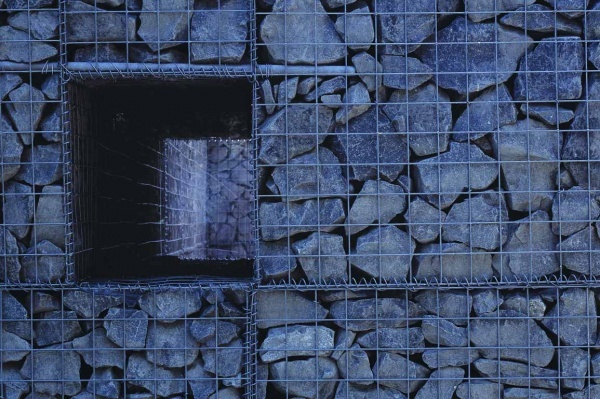 The final goal, a small glittering room formed from rocks of recycled glass is a quiet place from which to contemplate the task of discovering a return route to the outside world.